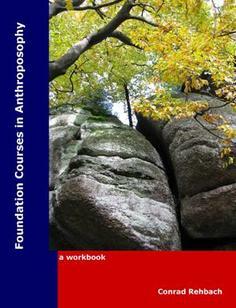 This workbook contains the lessons of the Foundation Studies Courses in Anthroposophy. It is a workbook for individuals and groups interested in studying and working with the fundamental books of Anthroposophy, "Knowledge of the Higher Worlds" and "Theosophy" by Rudolf Steiner. The purpose of this workbook is to give individuals and groups interested in studying the fundamental ideas of Anthroposophy a helpful guide for their journey. Due to the massive amounts of reading material readily available today, the human mind wants to be: — Quickly attracted — Easily organized — Deeply engaged. I imagine individuals who reside in places where Anthroposophical studies are not readily available, to use this book as a basis for their studies. I imagine study groups that formed through a common interest in Anthroposophy to use this book as a guide to forming a temporary learning community. Paperback Book. Publisher: Sophia Institute Publishing. Published March 6, 2011. Language: English. Pages: 80. Binding: Perfect-bound Paperback. Interior Ink: Full color. Weight 0.59 lbs. Dimensions (inches): 7.44 wide x 9.68 tall. eBook. Language: English. Pages: 80. File Format: PDF. File Size: 41.74 MB.